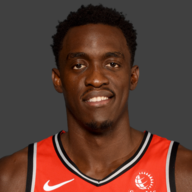 Phenomenal performance from Siakam, again. Had stretches where he took over the game, and he presented huge matchup issues for one of the best defenses in the league in this one. 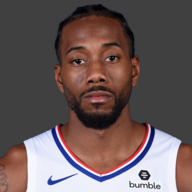 Was somewhat of a tough night for Kawhi for long stretches, but he was dominant when he had to be. 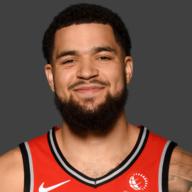 Was visibly frustrated with the referees at points, clearly thinking he was getting contact on his drives that wasn’t called, but came through with big points in overtime to get the Raptors the win. A quiet statline for Big Spain, but that doesn’t show the whole picture. 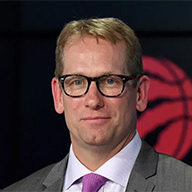 His ball movement is contagious and helped the Raptors offense get their flow during the dominant portions of the game, and his absence was felt when he wasn’t out there. Excellent game again from Fred, who has looked healthy and has been great since his return. Shot the ball well, looked confident and comfortable offensively, and played some really solid defense. 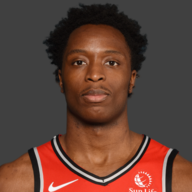 Danny was the hot hand early on for the Raptors, as the Thunder lost him a couple times in the first quarter, leading to some easy points. Continued to find ways to contribute as the night went on. This was a tough night for Serge. Had a great block on a good defensive read on a Jerami Grant drive, but he struggled to contain the Thunder on the offensive boards all night long, and Oklahoma City frequently took advantage of those second chance points. 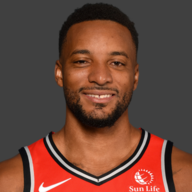 Norm can’t be the primary initiator in the Raptors’ offense, and despite some good assists, he struggled when asked to do that in this game. He had some solid minutes in transitional lineups, but when the team asked him to do more it was rough. 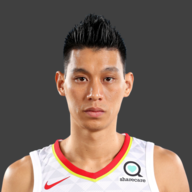 There were signs in this game that Lin’s confidence is coming along, but there’s still a ways to go, and with the playoffs nearing, it’s hard to see him figuring into the rotation too much with him still mostly struggling to contribute. OG’s defense was solid, and sometimes better than that even, for a lot of the night tonight. Offensively, he had a hard time when trying to create shots, but was good off-ball. 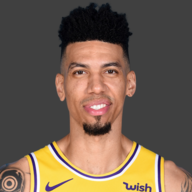 Needs to play in lineups where he can be optimized defensively while not asked to do too much offensively. 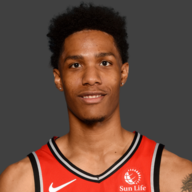 McCaw gave the Raptors his usual, quiet minutes where he was unspectacular, but didn’t take anything off the table either. He’s a good stopgap, but doesn’t provide much more than that. Nurse was really good in the first half, both in terms of game preparation and rotations, with the team moving mostly away from full bench lineups and finding ways to take advantage of the Thunder with groups that could still create. The late game execution was rough though, with the Raptors offense slowing to a slog and letting the Thunder get back in the game, and they have to be better in those moments. 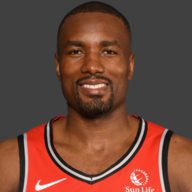 The first half was one of the best halves the Raptors have played this season, and doing that while missing Lowry is a great sign as the season nears it’s end. The Raptors created good shots, knocked them down, and built a nice lead. That said, the Raptors did largely let Oklahoma City back in at the end of the fourth quarter through their lack of offensive execution. 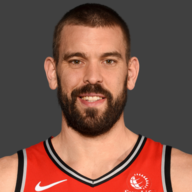 Part of that was the rotation, leaving Marc Gasol on the bench maybe too long in the fourth quarter while the Thunder dominated the boards, and part of that was the team just not executing well enough on offense. Pascal Siakam was the best player on the floor most of the night, and that’s not an outlier game for him anymore. He’s a real star, and will be incredibly important to the Raptors’ playoff hopes. We’ll do it again on Friday night, with the Thunder making the trip to Toronto, and that should be another fun game. OKC needs wins for their playoff seeding, and will come into that game desperate to make up for this loss.